There will be no breach of promise, says the LORD. 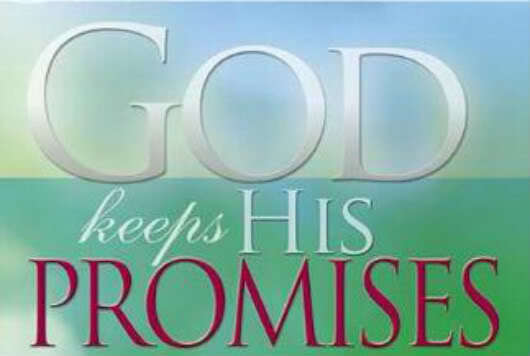 I Am a promise keeper. I never change My mind, My Word, and My purpose for you. You only need to believe, to receive, for My promises are precious, priceless, true and available for you. There will not be any breach of provision for you, and you will know that I will continually take care of you and supply everything that you need. I Am El Shaddai, and I will give you more than enough, as you take Me at My Word, and BELIEVE, says the LORD. There will be NO breach of My presence, says the LORD. You have constant access to Me. I will not abandon you. Just come into My presence, for that is where you belong! I will never cast you out, and you will never need to knock. You have the keys to My kingdom, and you are welcome as My beloved child. There is no breach of My power. For My Spirit is in you, and I have given you unspeakable gifts. It is by My Spirit in you that you will do great feats for My kingdom, and for My glory. Release by faith My Spirit in you, and let it flow out of you. For what I have given you, belongs to you. Exercise them by faith, and walk in My presence, My power, My Spirit, and My glory, and you will be fulfilled as I use you for My glory, says the LORD. And it is so ! Amen !!! Thank You, Lord, all three!! !